In this lesson, we will explain what localization is, why you may need it, and how to find out if you should implement it. If localization is for you, we will then give you some tips on how to get started. Localization is the process of translating your app and its keywords so that it can be understood and seen in other countries. Depending on what kind of app you have, this can be as simple as just translating words, or it can be as complex as converting date/time conventions, standard units of measure, currency, and cultural preferences. As in, localization is the process of translating the individual parts of your app and internationalization is the process of putting those parts together. For discussion purposes, however, they are the same thing. There are countless nuances in foreign languages that Google Translate cannot detect and it is important that you work with a native speaker or professional translation service to make sure you're localizing properly. This requires an investment of time and money, so you need to make certain it is worth the cost for your app. It is easier to figure out which apps should not localize, so we will begin there. If you have an app that is specific to a certain geographic location, you do not need to localize. For example, let’s say that you manage an app for a local bank with three branches in Houston, Texas. 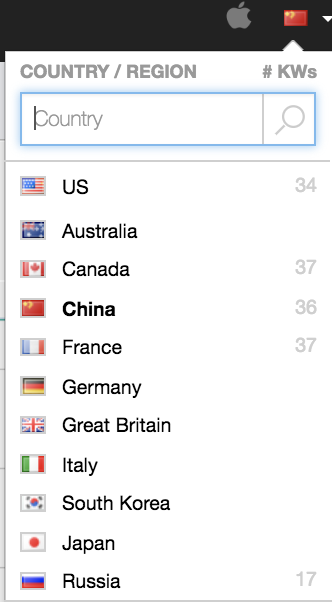 In this case, you don’t need to make your app available on the Chinese App Store because your user base is in Texas. If you do have an app with a possible worldwide appeal, such as games, then localization can make your app available to a much broader audience and can greatly increase your downloads. Translating your app into multiple languages can be a huge undertaking, even translating just one app can be a big job, especially for smaller publishers. Additionally, there is no guarantee that all the effort will be worthwhile. We will cover how you can test the market to find out if localization will work for your app. The next section will show you how to start small and test a market before allocating the significant resources required complete a localization. To test your localization efforts, you can localize certain elements of your app that appear on the app stores. This means translating your app description, keywords, and possibly your title and screenshots. Doing this will significantly reduce the amount of work needed to put your app into a foreign app store. After localizing these aspects and entering the foreign market, make sure to track if people start downloading your app. If people are downloading your app, there is a good chance it is worthwhile to localize your app completely. If you don’t get any downloads, then you saved yourself the time and resources required to localize your app completely. While testing can yield valuable market data, not having a completely localized app in a foreign market can lead to negative reviews. People will download your app, assuming it is in the local language, and find out it is in English. This can lead to negative feedback on the app stores. To get around this, you can test a clone of your app. You can also test it for limited period of time to minimize the damage to your ratings in that country. The same keyword principles that we discussed in Lesson 3 apply to international keywords. You are looking for keywords that are highly relevant to your app, with a high traffic score, and low difficulty score. Sensor Tower provides users the ability to track keywords, both domestically and internationally, from inside our App Intelligence platform. You can change your target country in the upper right corner of your Sensor Tower dashboard. You can now research, track, and get data on each localized keyword within Sensor Tower's platform. The optimization process is the same as outlined in Lesson 5. Your goal is to rank in the Top 10 for all of your localized keywords. Make sure to keep testing and optimizing until you get your keywords in the Top 10. Although localizing an app can be a big project, it could have a huge positive impact on your organic growth. Before you localize, make sure to test to see the market opportunity in foreign markets before spending the time and resources required for localization. You now know all the basics of App Store Optimization for the Apple App Store and Google Play. There are three things that you have to do now. Put these lessons to use and start tracking your keyword rankings. You can get started with our free trial. Consistently work to improve your keyword rankings. Remember that ASO is an ongoing process, not a one-time event. Continue to educate yourself on advanced ASO techniques and marketing outside the app store. Although this lesson is the last lesson in the ASO Academy Beginner’s Course, this is just the beginning of your ASO education. Conditions in the app stores constantly change and you need to stay on top of those changes to be aware of the download impacts. We will periodically post tips and industry stories on the Sensor Tower Blog that will extend your education and drive organic growth. We are discovering new techniques and adding new features all the time, so be sure to stay tuned to learn about our latest finds for mobile app analytics. If you have any questions about ASO strategies or using our platform, please reach out to support@sensortower.com.